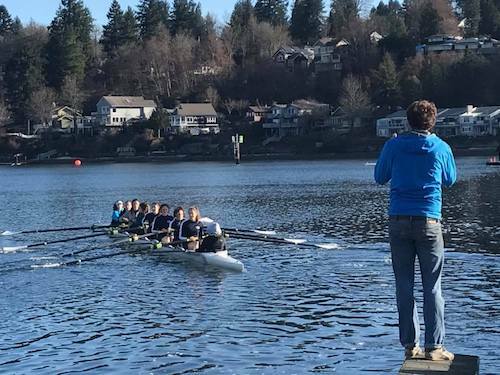 Welcome new and returning rowers and their families to our 2019 spring season! 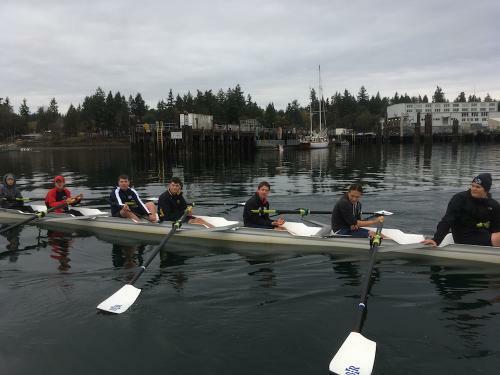 The BIR Spring Juniors Program focuses on short races and concludes with the USRowing Northwest Youth Championship regatta in Vancouver, WA. Rowers who qualify at this regional regatta may be invited to participate in USRowing’s Youth Nationals in June. Between now and June our goal is to have a fun, challenging, and fulfilling season both on the water and off. All rowers and parents must attend the Spring Orientation meeting. Important information is shared for both new and returning rowers. Rowing is a club sport not directly affiliated with Bainbridge High School and is open to all BHS students in grades 9-12, as well as athletes from other school districts. 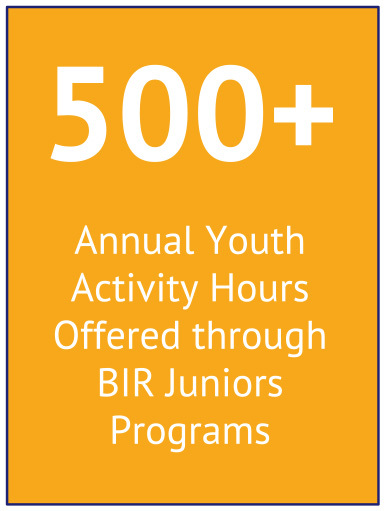 Annual Dues: BIR annual dues for 2019 will be $90 and will cover the entire calendar year. Program Fees: $805 for all Junior rowers. Regatta Fees: 2019 regatta fees are still to be determined, as we are considering hosting a local regatta in lieu of traveling to one of the regattas we normally attend each year. In previous years, regatta fees averaged $800 – $900. Once determined, regatta fees will be paid separately from program fees, payable via iCrew on Friday, March 29. Regatta fees include the cost of meals for regatta participants and for food tent volunteers during their work shift. For all others, a $5/day meal payment is required. USRowing Annual Fees: In addition to BIR annual dues, program fees, and regatta fees, all rowers must have paid the USRowing membership fee. See the Juniors General Information page for more information. 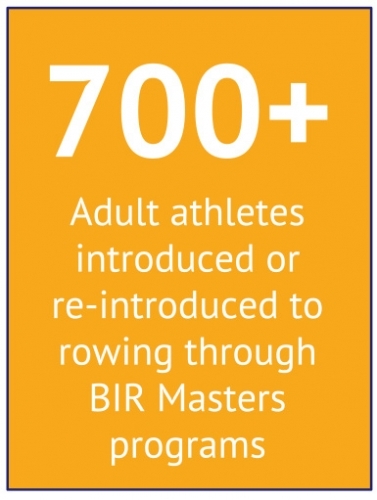 Payment Plans: As BIR is providing an 11 week lag between the payment of program fees and regatta fees this year, no additional payment plans will be offered. Fee Payment: See the Juniors Registration page for full information and guidance about how to pay fees each season. 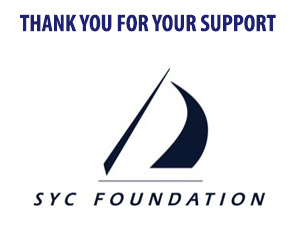 Scholarships: Scholarships may be available to Junior rowers based on need and funding availability. 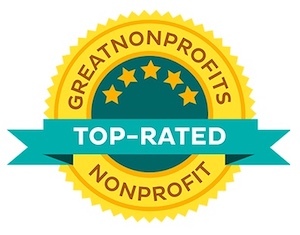 Visit the Scholarships page for details. Please visit the Juniors Registration page to review participation requirements and complete the registration steps. Questions? 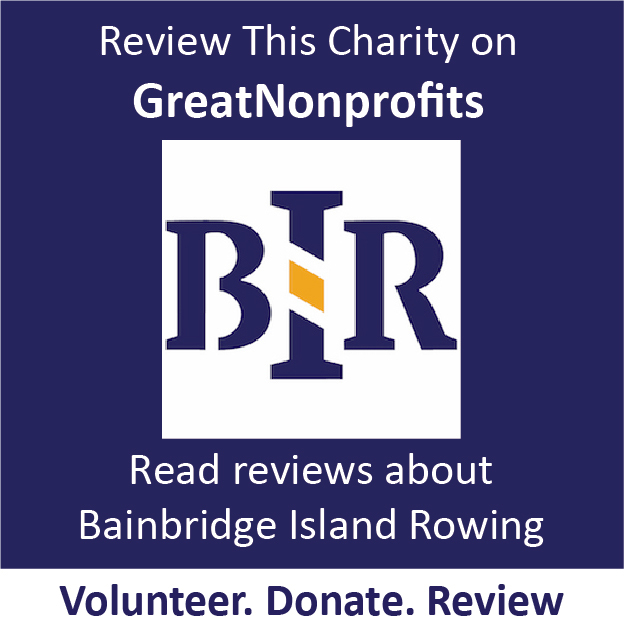 Please email the Junior Registrar at registrar@bainbridgerowing.org. There are no practices during Midwinter Break, February 17 – 21, and Spring Break, April 6 – 10. Important note about parking: Drop-off and pick-up are not permitted on Brien Drive because of congestion problems. Please drop off rowers along Bjune Drive instead. As necessary, instruct rowers to wait near the Waterfront Park playground for pick-up along Bjune after practice. BIR Juniors will participate in multiple scrimmages, single-day regattas, and multi-day regattas in the Spring 2019 season. For this year’s current, updated event list, please head on over to the Juniors Regatta Schedule. All, please not that all Junior rowers and parents must agree to the BIR Travel & SafeSport Policy before they can participate in out of town regattas. Copyright © Bainbridge Island Rowing 2001-2019.